sailboat. : The One & Only Tag! I love this tag. I may have to do it myself! 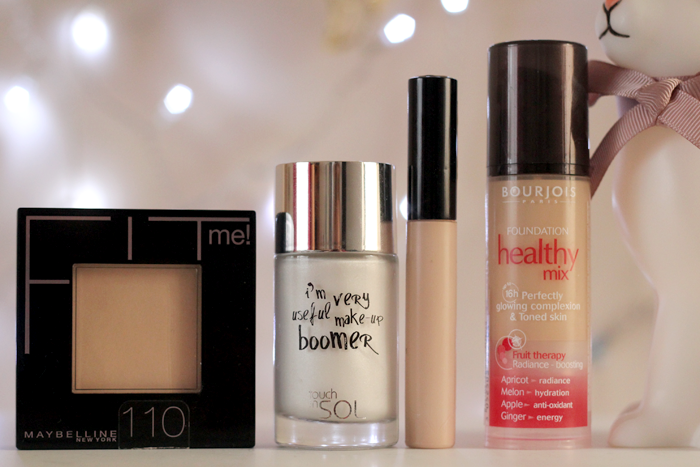 Collection concealer will def be on my list! 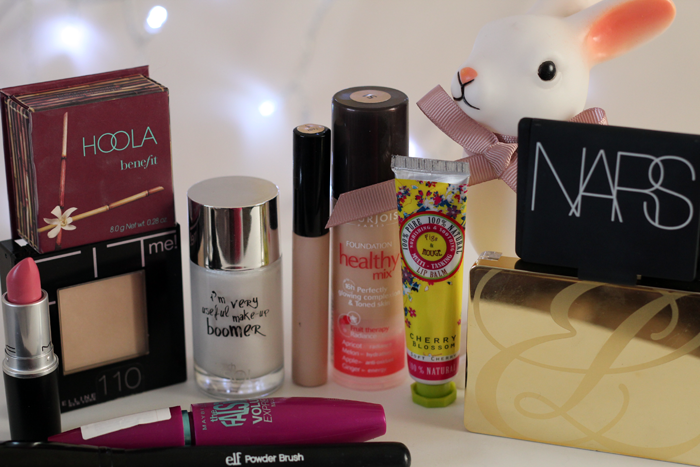 That EL highlighter is heavenly :o love this tag! Ah we a few of the same favourite products!! which makes me laugh because you have actually recommended them to me. smooth Nicola!! The packaging for that lip balm is so pretty! 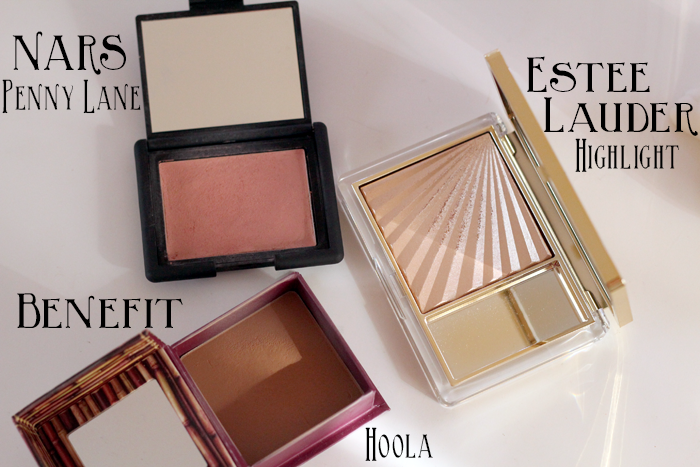 Love yout choices, I must try the tocuh in sol primer and the estee lauder highlighter, that looks gorgeous! Most definitely I couldn't live without my bare minerals veil and my Chanel Vitalumier aqua, they are my all time favorite face products! This is such a fun tag - I did it a few weeks ago & it took me ages to think of products for some of the categories. I don't think we picked any of the same products, which means I have to try lots more products. NARS Penny Lane looks stunning, you don't hear too much about this blush. I need to try that elf brush too. Looks like a brush I would use alot. I'm not sure much can beat MAC lipstick! Really enjoyed this tag! And OH MY! That Estée Lauder highlighter is definitely one of the most beautiful pieces of make up i've ever seen, oozes luxury and chic. I want to try NARS Penny Lane! And yes, ELF brushes are so good for the price. This is a great tag... I'm trying to think about what I'd pick for each of the categories! NARS 'penny lane' looks amazing! Penny Lane looks like a colour I could adore. And I'm really keen to test Lovelorn after you wrote about it recently. I tried the Figs & Rouge Cherry lip balm after I received it in a Glossybox and its smell is divine. 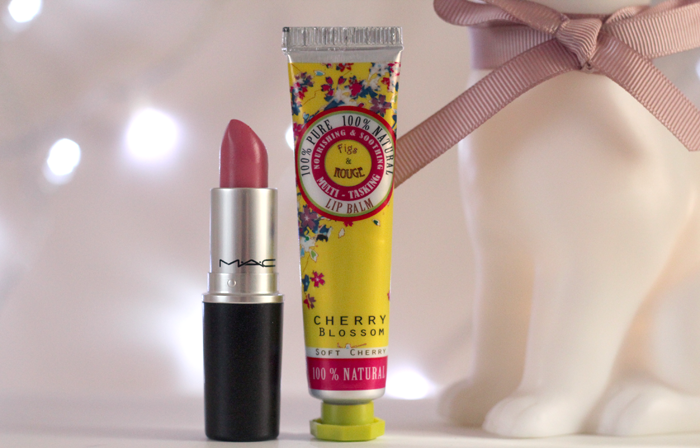 I normally can't stand the feel of lip balms but its texture is so non-greasy and smooth. I really like it. 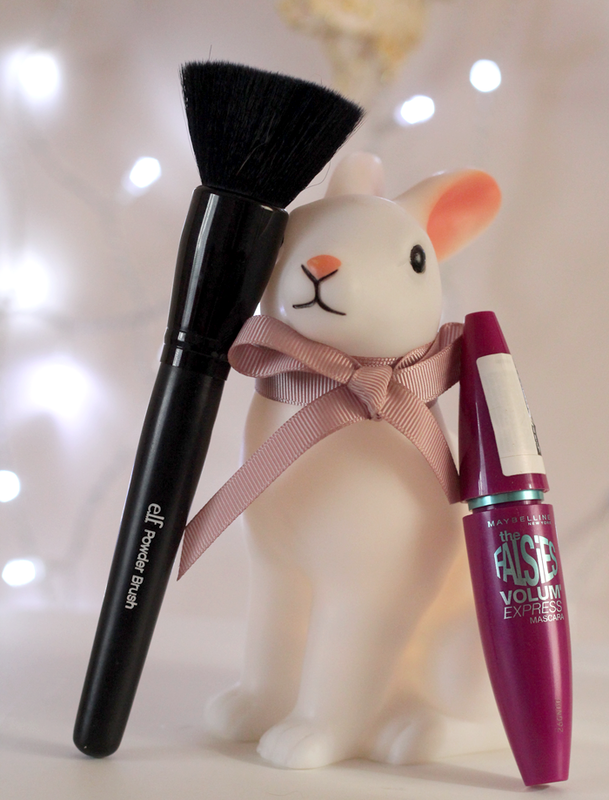 Is it easier to apply foundation with a flat top or rounded brush? I've only ever tried the latter but I really want to try a flat top brush to see what it's like.